18.838km and counting. 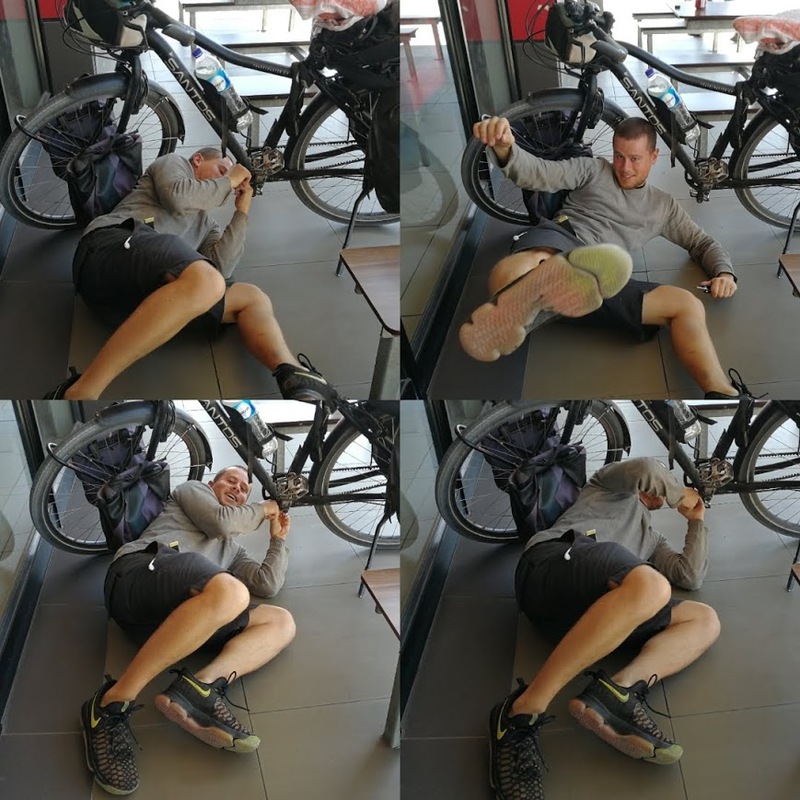 Eleven months of cycling have brought me to the final stopover before Cape Town. Namibia’s capital Windhoek is an oasis of life in a deserted part of the world. 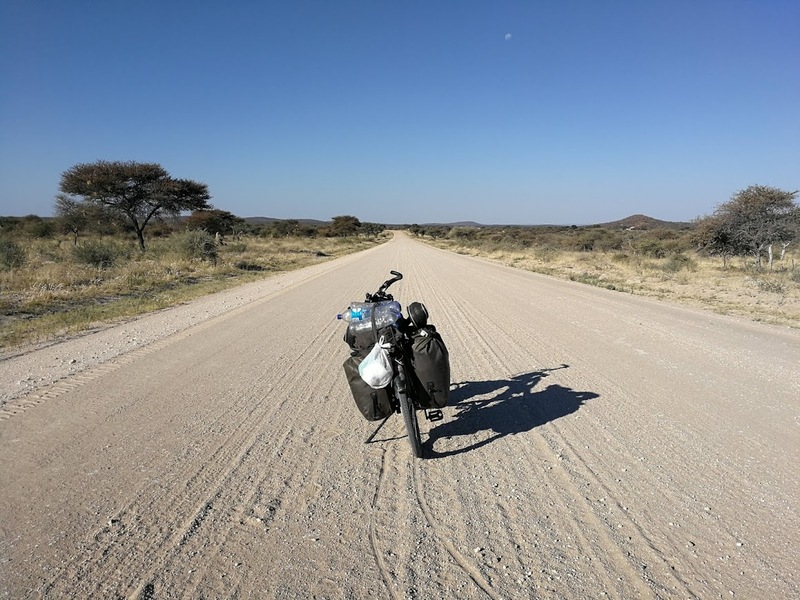 With a total population of two and a half million in a country 2.3 times the size of Germany, cycling on Namibia’s white gravel roads can be a lonely endeavor. This is more than made up, however, by the stunning views and wildlife that regularly crosses my path. I’m very tired as I write these lines. I feel like the gravel has worn me out. Continuously searching for the ideal cycling line, and avoiding piles of dry sand, requires full concentration. On top of that I have been averaging over 100km per day. Luckily nothing kicks more life back into my legs, for the final push to Cape Town, as black coffee at the many coffee shops in Windhoek. I enjoyed some family time. Four missionary workers from Texas thought I’m starving because I drink water from boreholes. 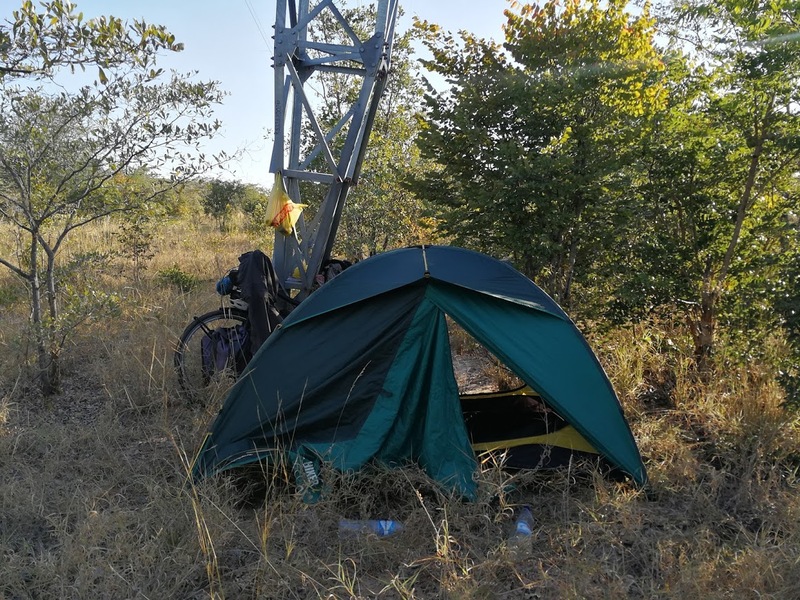 I cycled and camped in the Caprivi strip. 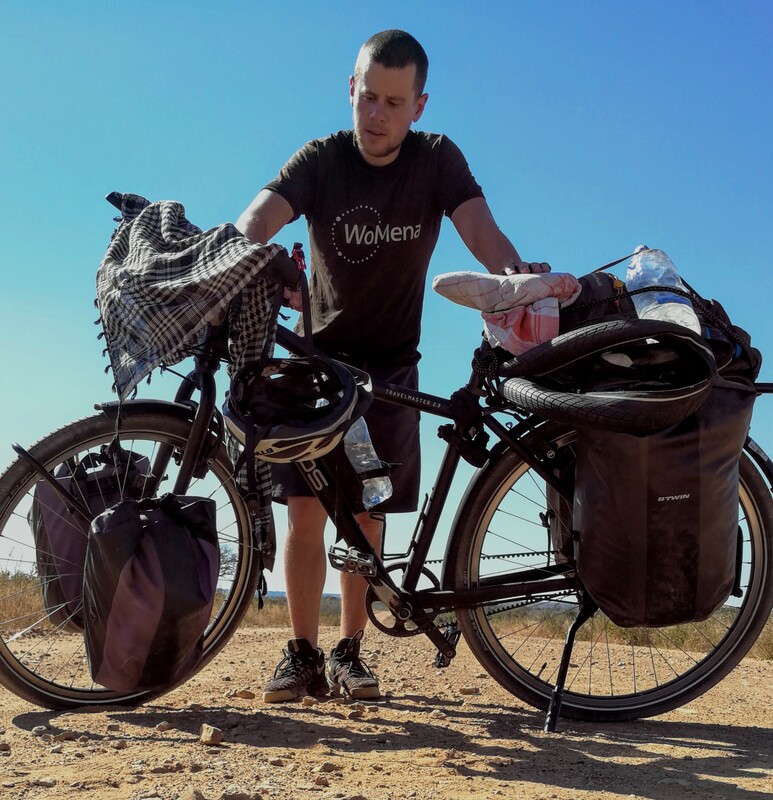 I felt at home with the first words of Afrikaans along the way. I stayed with locals in mining villages. I made my way across white gravel roads. I defied razorwire and camped wild in farming areas. In the last post I wrote that I was waiting for my parents, sister, and my sister’s boyfriend to arrive in Zambia. 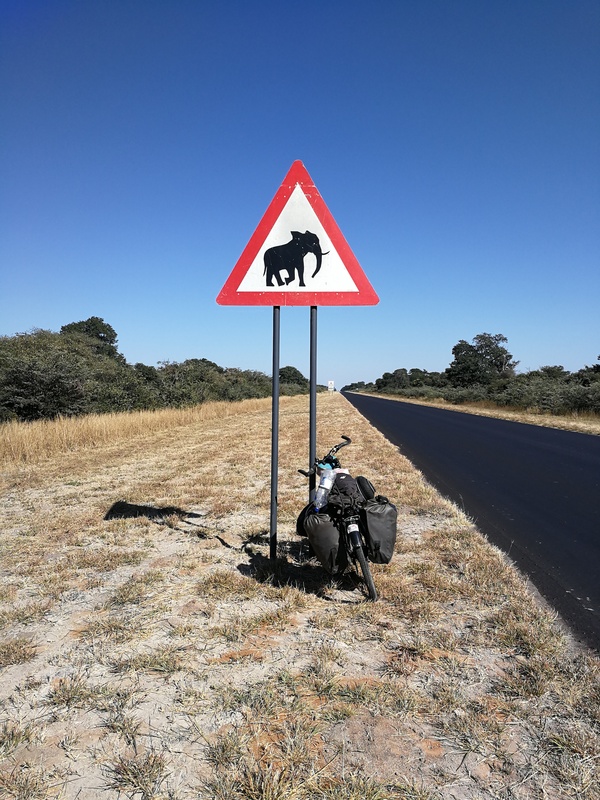 For two weeks we visited the country, and also went to Botswana for three days. I was thrilled that they could also be part of my adventure, and as far as I can tell they were very happy with their “local” guide (a.k.a. yours truly). 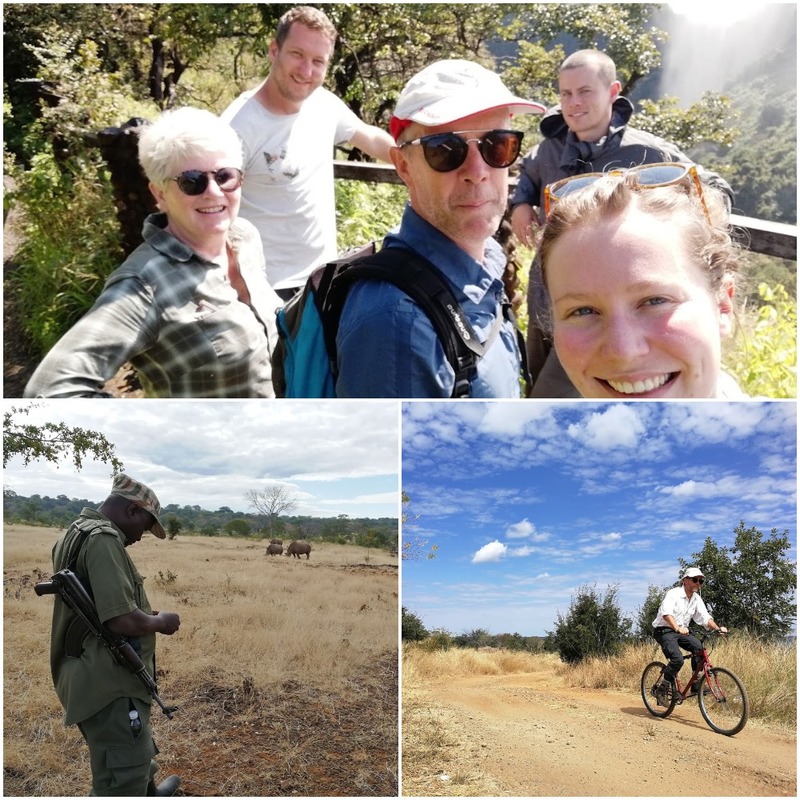 We visited the victoria falls, spotted rhinos during a walking safari, did a game drive, and rented bicycles in Livingstone to celebrate the family’s love for two-wheelers. The highlight of the family reunion was undoubtedly a twenty hour train journey from Livingstone back to Lusaka. I love trains. After I dropped my family off at the airport, and put on a new pair of tires, I was ready to go. 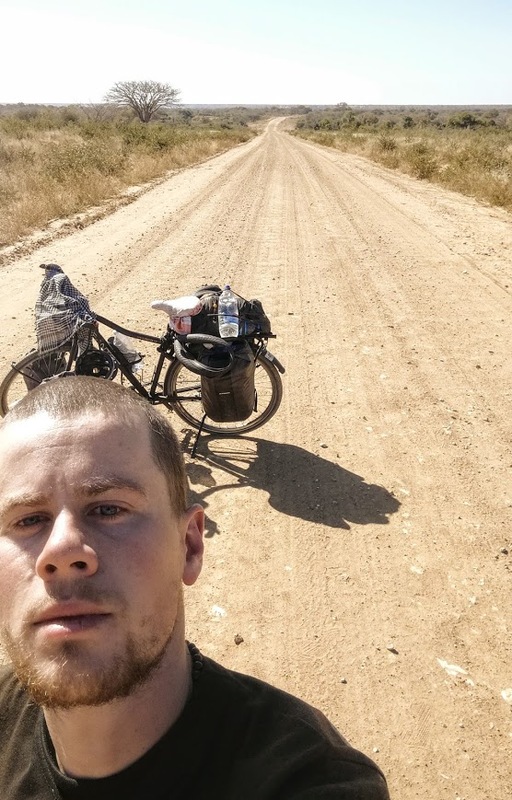 Jesus was already close to the border with Botswana at this point, so I set out on my own. 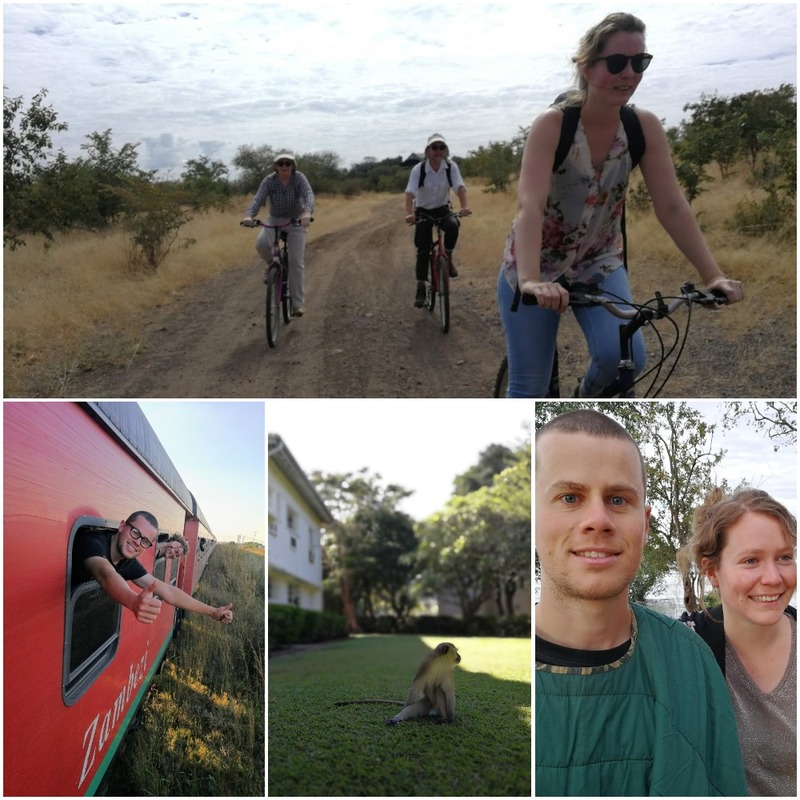 I headed south, basically cycling the train journey to Livingstone in the opposite direction, 480 uneventful kilometers along the main road. With Jesus not being there to entertain me, I stopped to talk with women selling vegetables along the road. They are always curious and chatty. 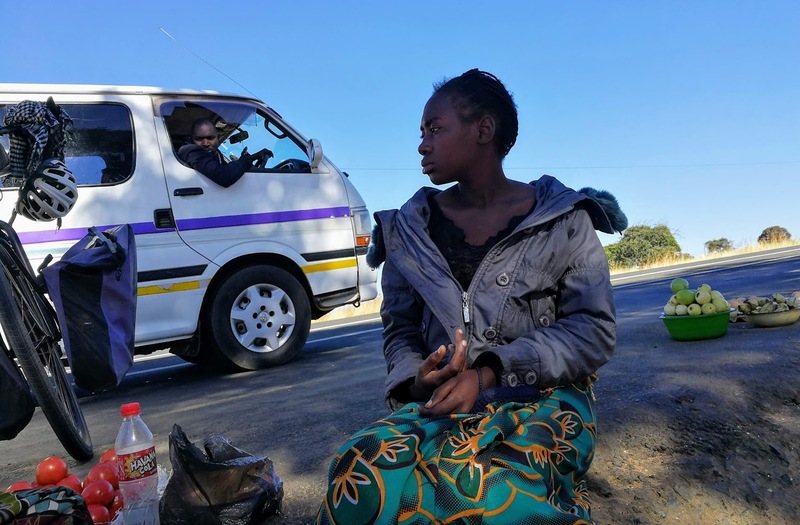 These women position themselves strategically near places where passengers wait for combis. Combis are the backbone of informal public transport in Zambia. Combis are privately owned minibusses serving as share taxis. They usually do a fixed route, and there’s always a “salesman” attracting passengers by yelling the destination out of one of the windows. Passengers negotiate prices for tomatoes and other vegetables from inside the minibus. 150km before Livingstone I saw a car with an open bonnet and four people staring at the engine. I stopped and asked if they needed a hand. They turned out to be missionary workers from Texas. I handed them a screwdriver to tighten a valve that had come loose. The engine was overheating as well so they asked two local women for water. 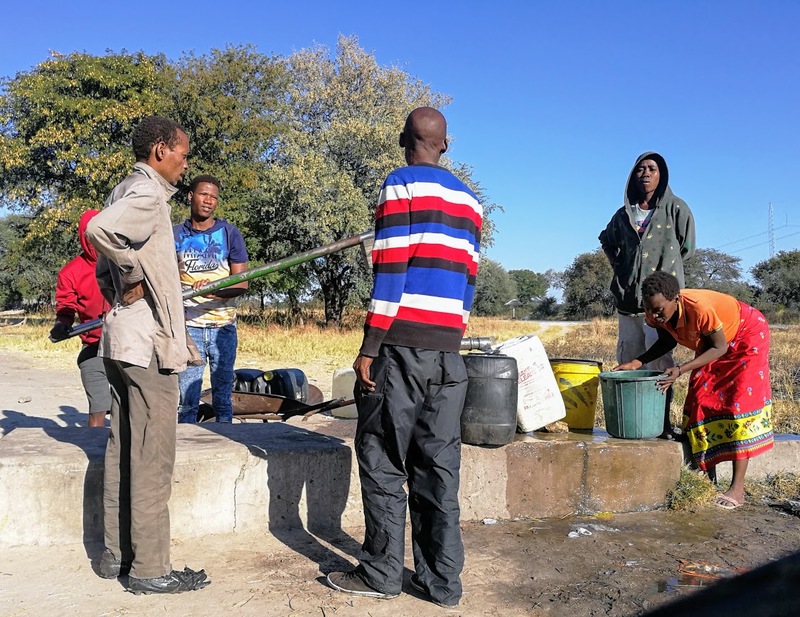 When the women came back with two buckets of water (surely from a borehole) they poured a few cups into the cooling system. I asked if they needed the rest and started to drink from the buckets. They were shocked that I did this, and when they restarted the engine, before driving off, one lady came out and slid a 20USD bill in my hand as she shook it… I said “but I don’t need money” and wanted to give it back. “sure you don’t”, she replied (imagine a southern accent here). And they drove off. 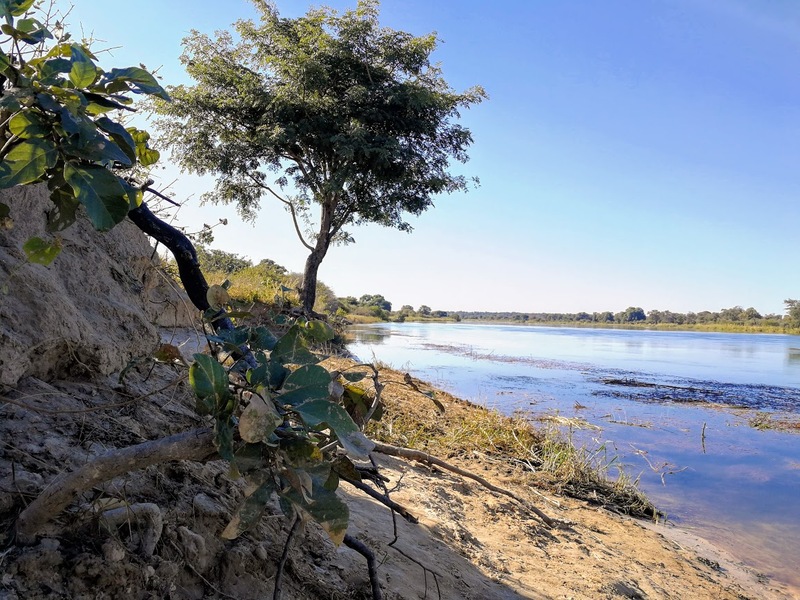 The last part before the Namibian border took me along the Zambezi river. Every day I had nshima with fish from the river, so good. 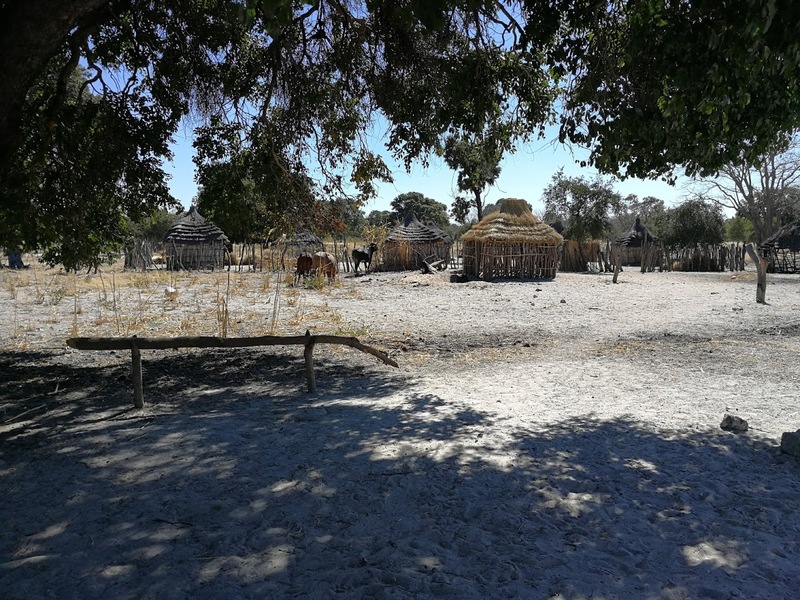 On the first day in Namibia I experienced a culture shock for a number of reasons. The first thing that struck me is that men fetch water here. In the 13 African countries that I cycled in so far the picture below would not feature men. 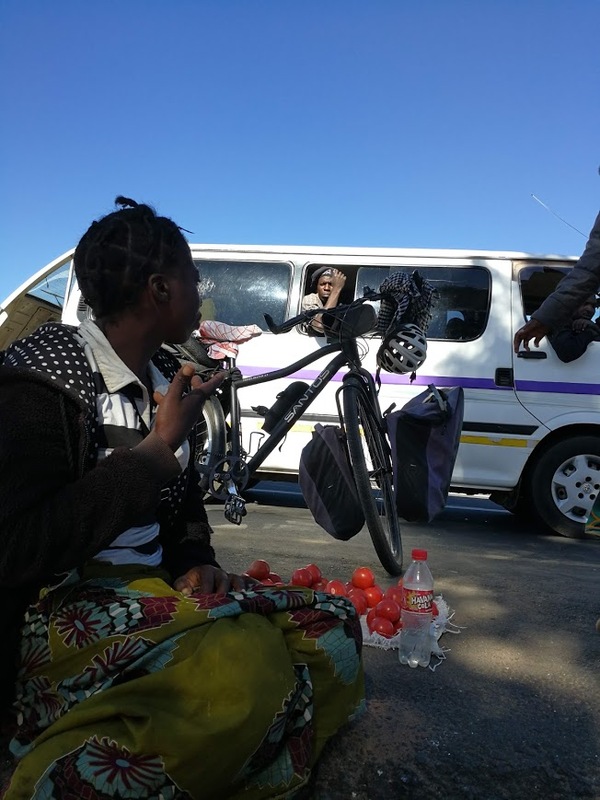 Secondly, there is courtesy towards cyclists in Namibia. On an empty road drivers actually go to the opposite lane to pass me by safely. Elsewhere they behave like absolute dicks and never deviate more than 10cm. The reasons for this are still unknown to me. I yelled at dozens of drivers, and banged on many car windows, but I never got a proper answer during the ensuing “discussions”. 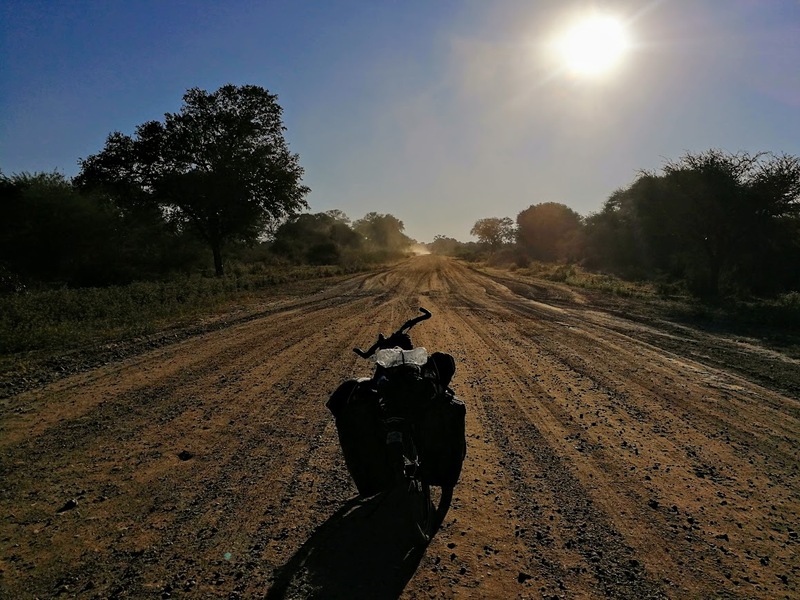 The first 500km in Namibia took me along the Caprivi strip, the northeastern panhandle of Namibia, situated between Botswana, Angola, and Zambia. This area is very tribal, and most people live in huts. I’m used to calls of “mzungu” in places like this. 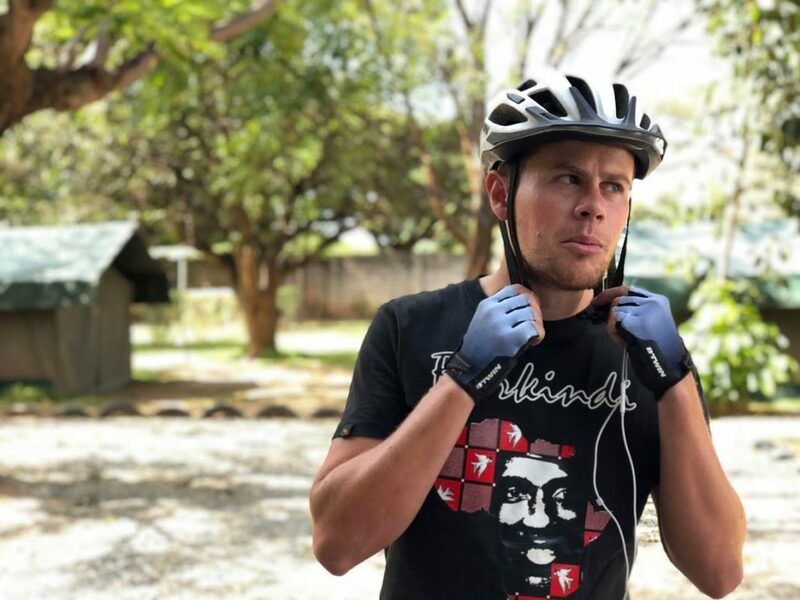 I almost fell off my bicycle when kids called me “meneer” in Afrikaans, as they mistakenly took me for a white local. They even pronounce it “menièèr”, exactly like my grandma says it. 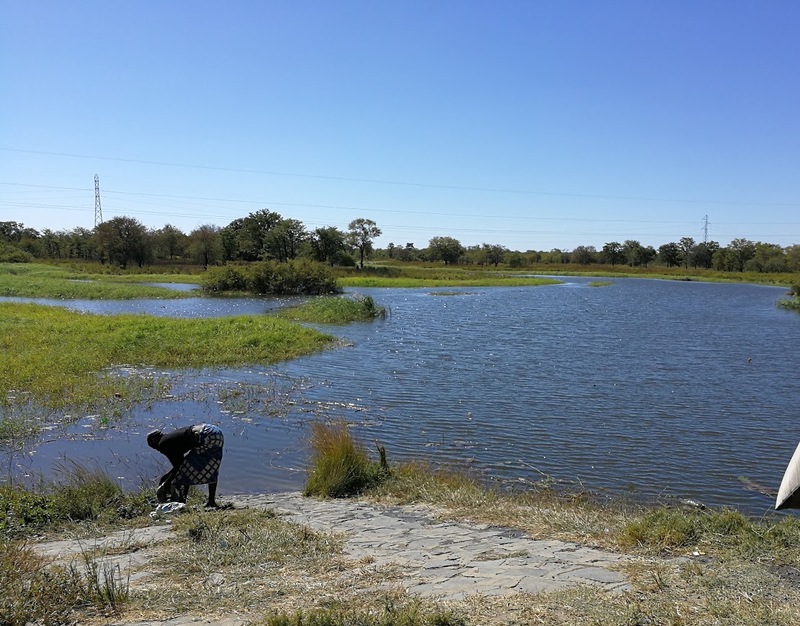 The caprivi strip consists mostly of conservation area. 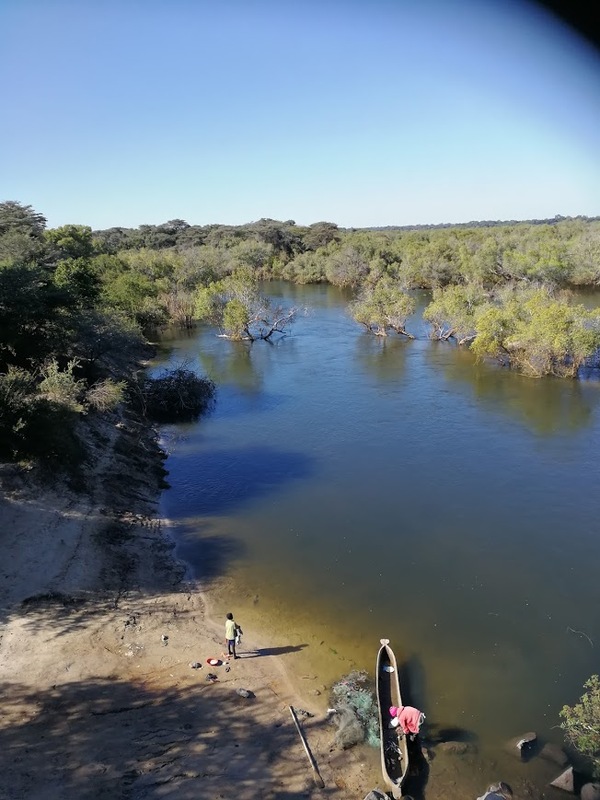 The longest stretch is called the Caprivi Game Park. 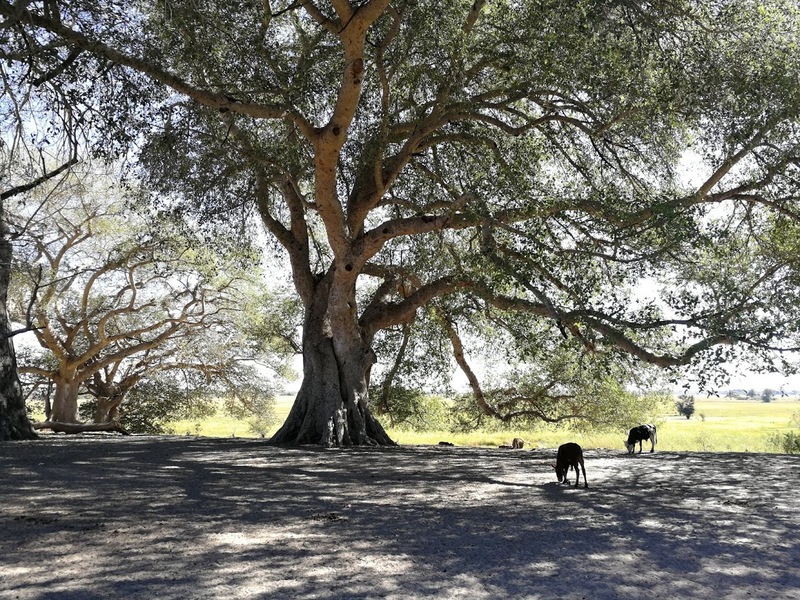 It borders two larger parks in Angola and Botswana and features lions and elephants. There is one road that runs through it however, and I wanted to cycle it. 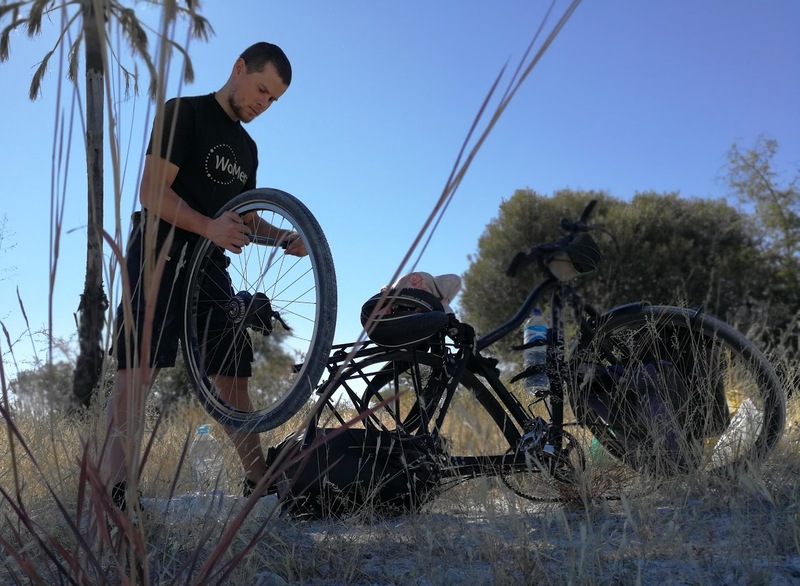 There is a checkpoint at the entrance of the park, and I was afraid that I would not be allowed to cycle in the conservation area. Luckily the guy operating the barrier was asleep, so I could casually cycle around the blockade. I saw waterbucks, kudus antilopes, red lechwes, jackals, warthogs, luckily no lions, sadly no elephants. The park is 200km long so I had to camp. I put my tent next to an electricity pole that I could climb into in case any dangerous animal approached me at night. 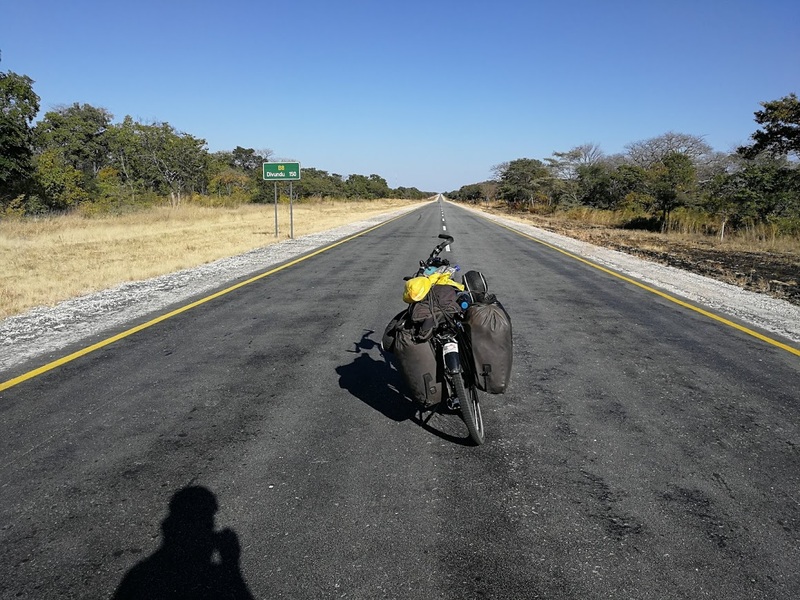 I slept very well that night and carried on the next day on small roads, following the Kavango river, towards a city called Rundu. In stark contrast to surrounding villages, Namibian cities are relatively developed. There are large shopping malls and fast food chains such as KFC. In Rundu I washed all the dust of my bicycle, and went for ice cream at KFC. 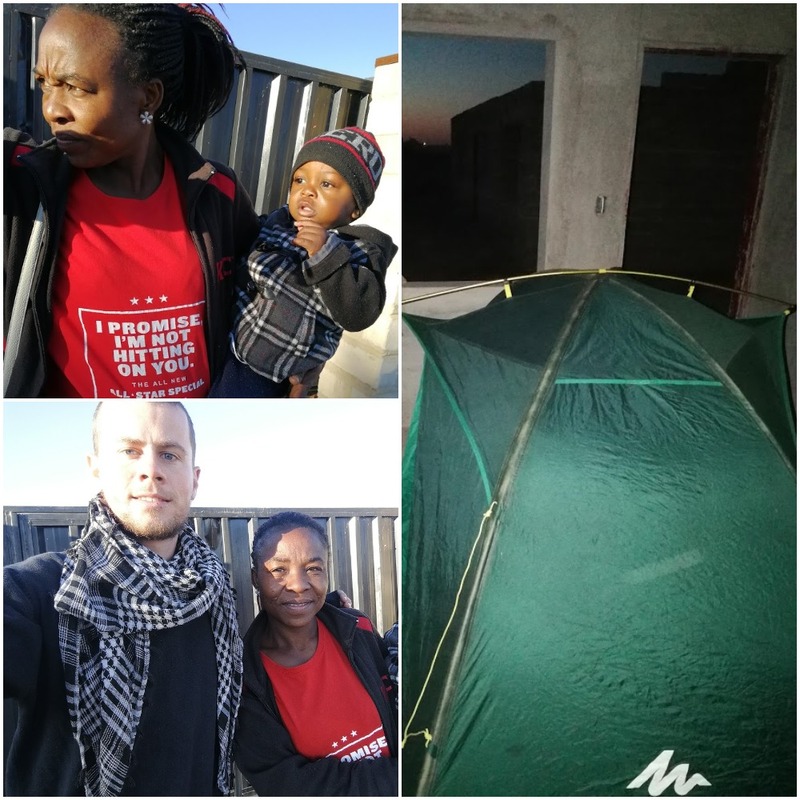 Hilda, who works at KFC Rundu, saw me tighten some screws in front of the shop, and invited me to camp in a part of her house that is under construction. Here she is with her son junior the next morning. 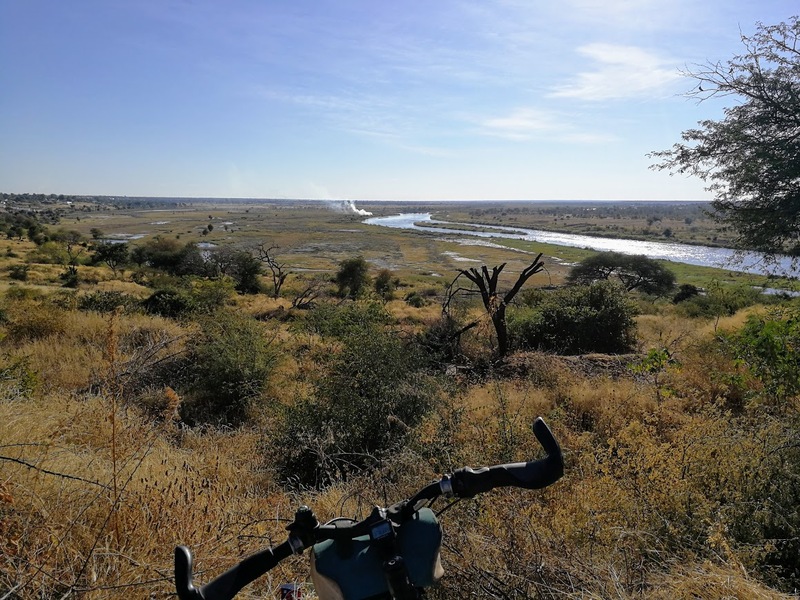 South of Rundu I cycled on white gravel roads for five days down to Windhoek. Almost all land is used for cattle farming. 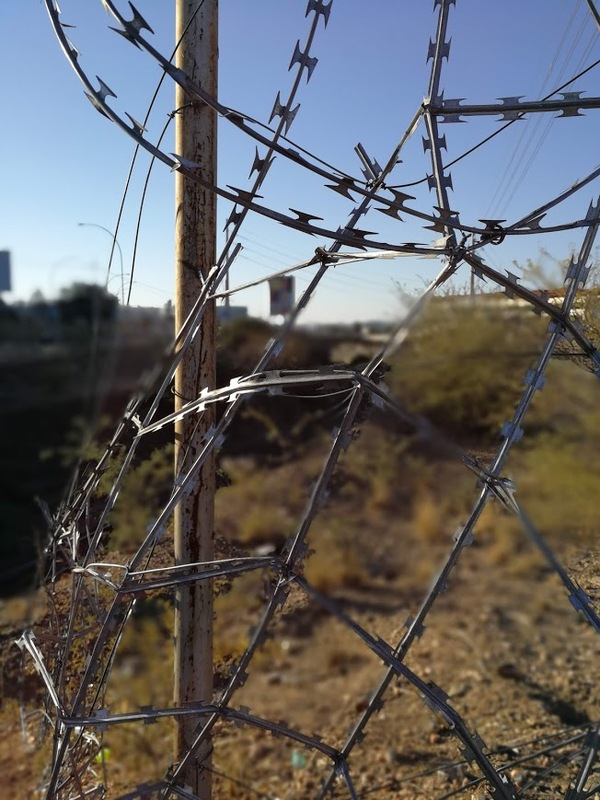 Huge farms are surrounded by fences, sometimes electrified, and topped with razor-wire. These gravel roads’ primary use is to provide access to farms, therefore they are generally empty. I asked one of the farmers or “boeren” that I met, why there are so many fences. He said “it’s not for animals, but to stop cattle theft”. Because of all these fences camping is not easy, and I would not want to be seen as a poacher. 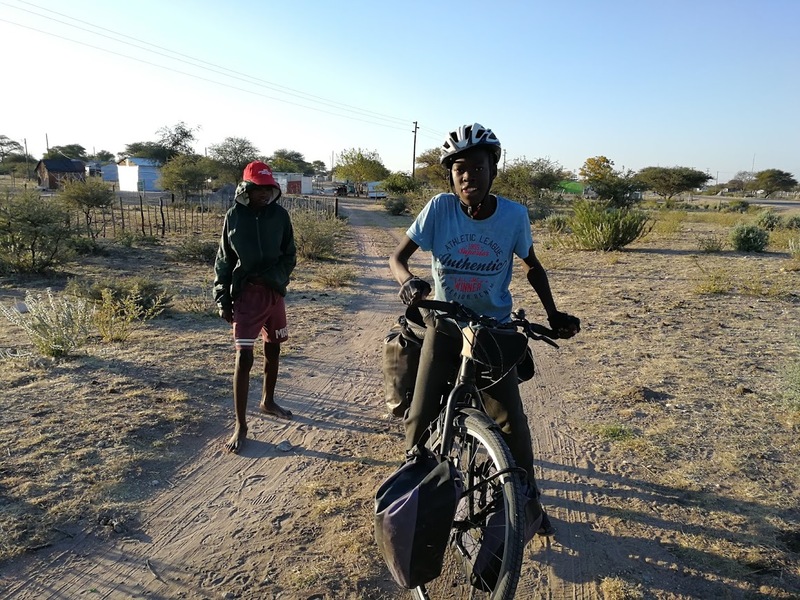 Luckily I could stay in villages, such as Okondjatu, 150km south of Grootfontein. The picture below shows two boys there. People in Okondjatu rely on nearby mines for their income. Mining contributes to 25% of the country’s income. Namibia has various natural resources including diamonds, uranium, copper, gold, lead, tin, lithium, cadmium, zinc, salt and vanadium. 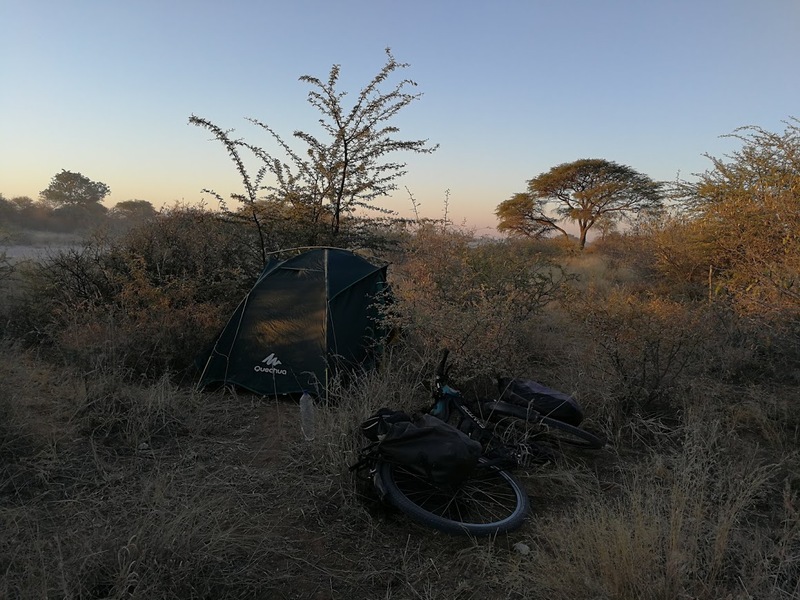 During the final 300km to Windhoek I did camp wild. I figured that because there’s barely any traffic, a car every five hours or so, I can just put up my tent next to the road. The picture below shows one of those spots. The white spot in the left corner is the gravel road that I was cycling on. I’ve been in Windhoek for two days now. Tomorrow I’ll head south towards the border with South Africa. I still have about a week of desert in ahead of me, so I’ll stuff my bags full of canned food and water. I can’t believe Cape Town is less than 2000km away! Even though that is still quite a distance to cycle, I already feel as if I’m cycling the final lap on the Champs-Élysées. I’ll write again in Cape Town!